R-401a: Tuesday, Mar. 19, 6:00 – 9:00 p.m.
R-401b: Tuesday, Apr. 16, 10:00 a.m. – 1:00 p.m. TUITION: $17 per hour, minimum of two hours. 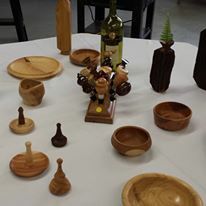 If you have previously taken a woodworking class at the School of the Arts, we invite you to work with our instructors on a project of your choice.Customized dates available if the above don’t work for you. Learn how to work with wood, power equipment, and finishing techniques to make a beautiful twig pot. Bring a bag lunch. Saturday, May 11, 10:00 a.m. - 4:00 p.m. 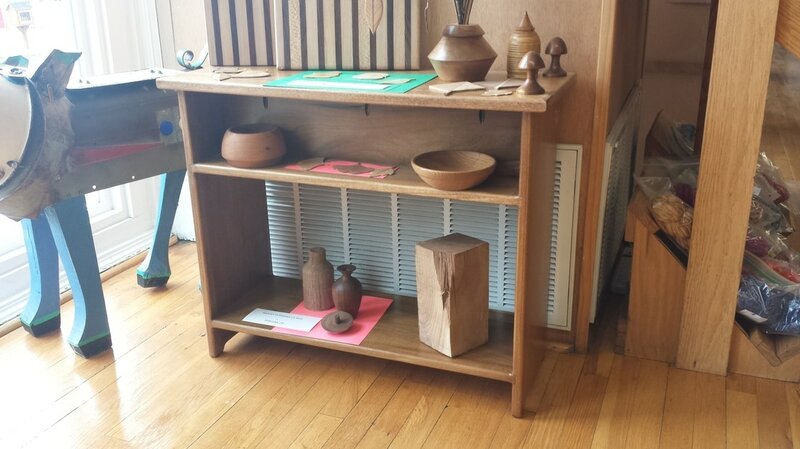 Learn to make a simple bench of yellow pine using a table saw, jig saw, router, and sander. Approximate size: 18”x 48” wide. So sturdy, it will last a lifetime. Bring a bag lunch. 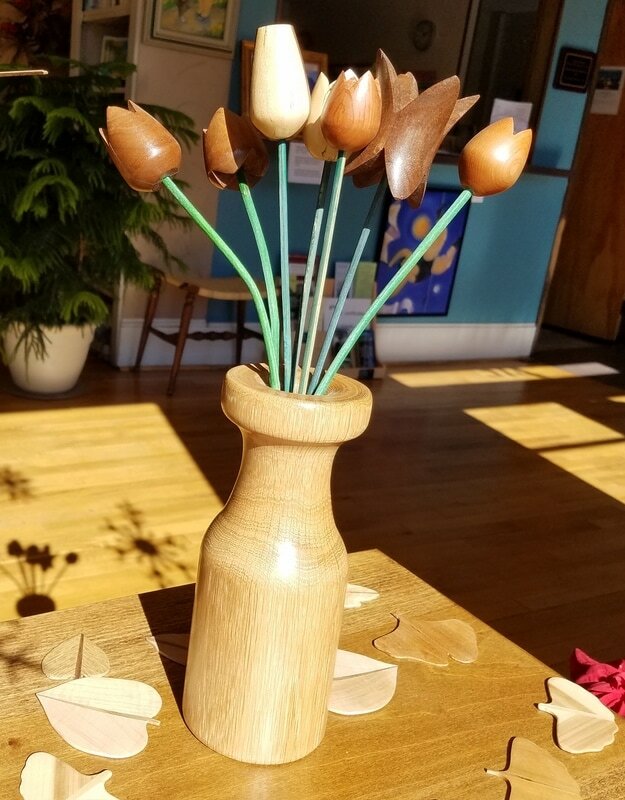 Saturday, January 12, 10:00 a.m. - 4:00 p.m.
Make a matched pair of candlesticks for yourself or as a gift. Bring a bag lunch. R-400a: Tuesday, Jan. 15, 10:00 a.m. – 2:00 p.m.
R-400b: Tuesday, Feb. 12, 10:00 a.m. – 2 :00 p.m. CANCELLED, BUT PLEASE CALL THE SCHOOL SO WE CAN FIND ANOTHER TIME FOR YOU! TUITION: $50 (plus a materials fee based on the project chosen paid to the instructor during class). Tuition covers either one adult/teen or one adult with child under age 12 making one project. 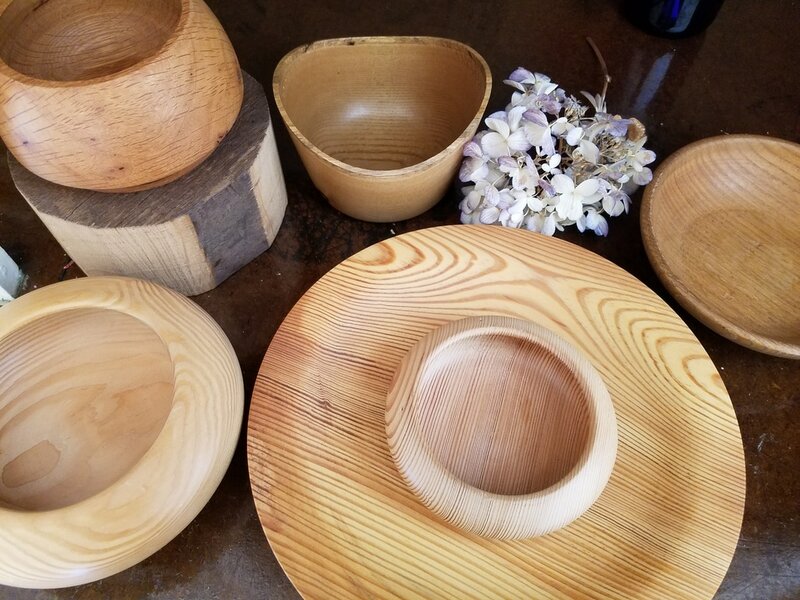 Join instructors to learn how to turn wood to make a baseball bat, wooden bowl, pen, ice cream scoop, or other small wood project. This is a wonderful shared parent/child activity for children under age 13. Create memories along with your special project! Customized dates available if the above don’t work for you. Saturday, February 16, 10:00 a.m. - 4:00 p.m. If you or a loved one are knitters, a pair of handmade, wooden needles is a treasure. 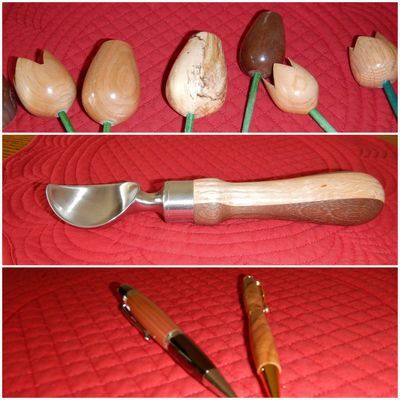 Let Troy help you make a pair for yourself or your favorite knitter. Bring a bag lunch. Saturday, March 16, 10:00 a.m. - 4:00 p.m. Learn how to work with wood, power equipment, and finishing techniques to make a beautiful rectangular side table with optional lower shelf. 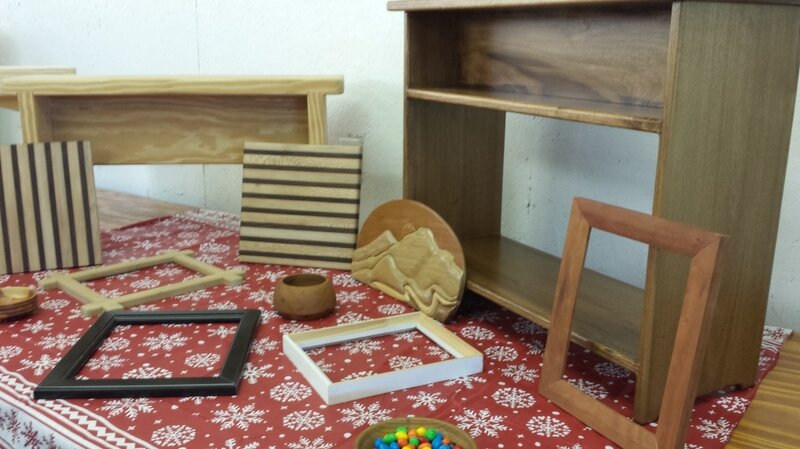 Poplar wood will be used and will be ready for paint or other finish at the conclusion of this class. Bring a bag lunch. 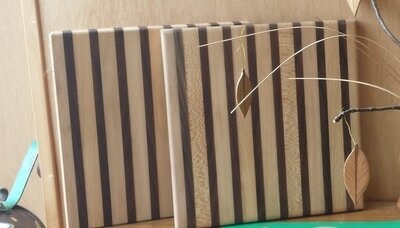 Select at least two types of wood for cutting into strips and arranging in a suitable alternate pattern. Apply bonding agent. Clamp with wood strips. Repeat to make the second cutting board. Let boards dry for one week. 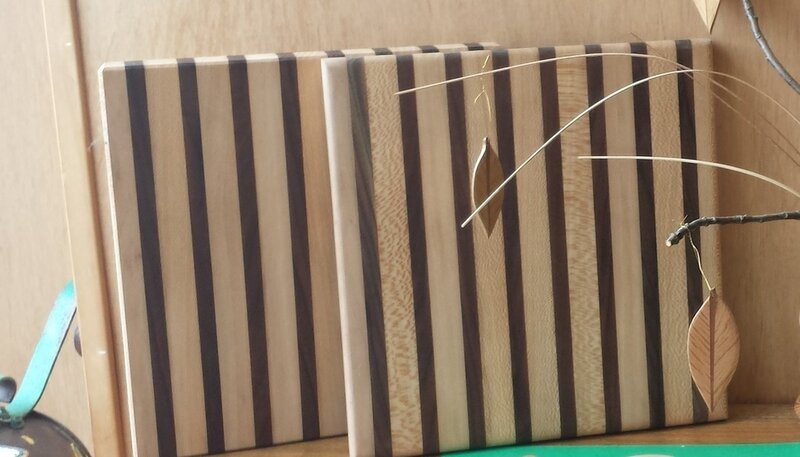 Return to the second class to finish and seal your cutting boards…perfect holiday gifts! Bring the beauty of natural wood ornaments to your home for the holidays or year-round. 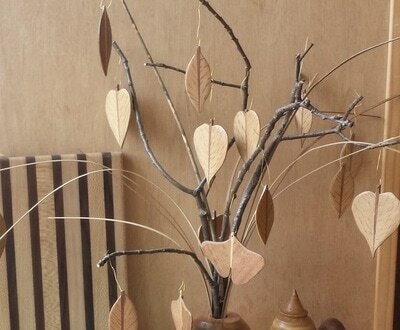 You will learn how to combine decorative woods to create distinctive leaf shapes (oak, ginko, maple, etc.) Your finished product will be finished to provide years of enjoyment. Makes a lovely handmade gift!